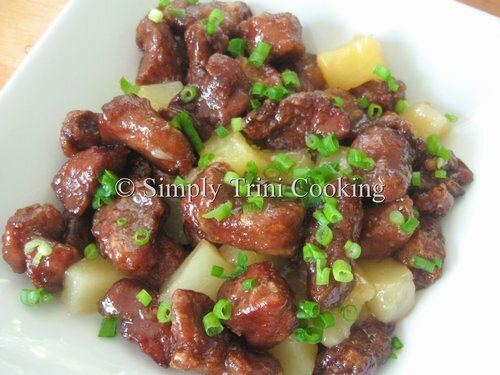 Now I have another tasty chinese dish for you today, sweet and sour pork. 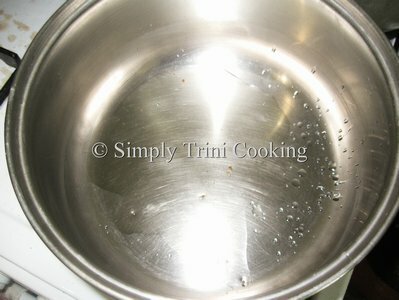 After making some of the dishes served at Chinese restaurants on the island like Pepper Shrimp, Chicken Lo Mein, Sweet and Sour Fish, Beef in Hoisin Sauce and Stir Fry Beef with Noodles, I have come to realize how easy they are to make and how, sometimes, we are paying too much for food when we eat out. Portions could be as expensive as $35. TT at some restaurants and before long you’re paying upwards of $50. TT for a meal. And, if you’re like me you’ll be asking for a glass of water instead of that daiquiri you wanted to taste lol!! hahaha. Presha! So, let’s save some money. 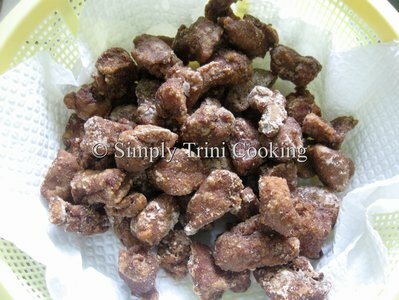 Today, I’m going to show you how to make another of our famous dishes offered at Chinese restaurants in Trinidad and Tobago. 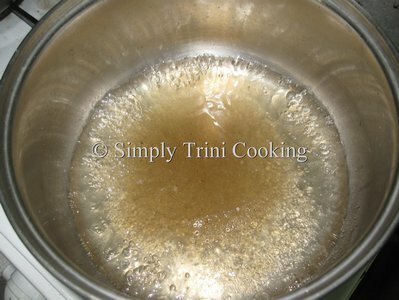 But in true trinistyle, I’m doing it from scratch…Put away your bottle of sweet and sour sauce; you don’t need it for this recipe. Sweet and sour pork is a delight. 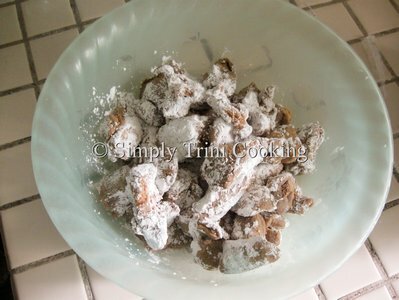 Sweet and sour really goes hand in hand in this dish and after following the steps outlined you’ll be making this very often for your friends, family and, as in my case, co-workers as well. 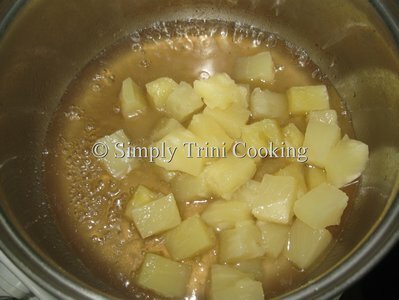 So get out your piece of pork and your tin of pineapple chunks because we’re going to whip up some sweet and sour pork from scratch that’ll have your friends and family asking for seconds, thirds…… or even fourths lol! hahahaha. Here’s Sweet and Sour Pork. 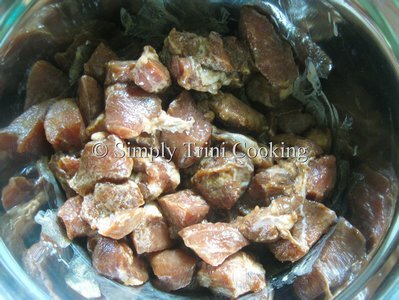 Wash diced pork with lime and water. Season with soy sauce, cooking wine and 2 tsp salt. 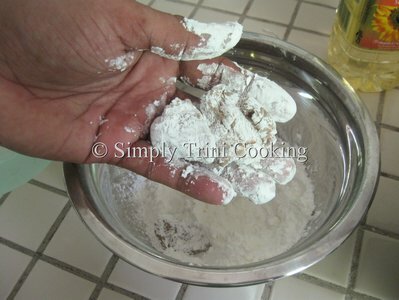 Dredge in cornstarch and set aside for 5 minutes. 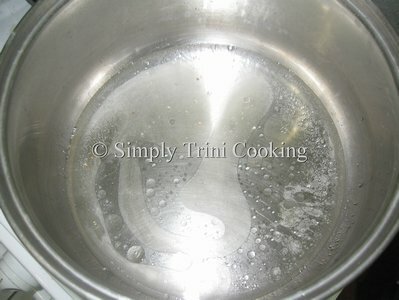 Heat oil…… When ready, deep fry pork for about 3 minutes or until golden brown. 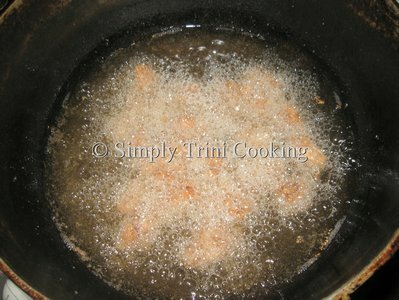 Place pot over medium flame and add peanut oil. 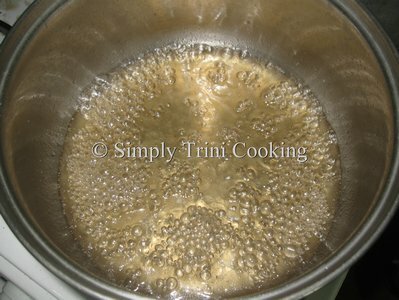 When hot add vinegar, water, sugar and 1 tsp salt. 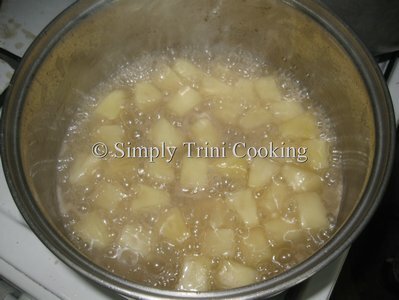 Add pineapple, and cornstarch mixed in 3 tbsp of water. 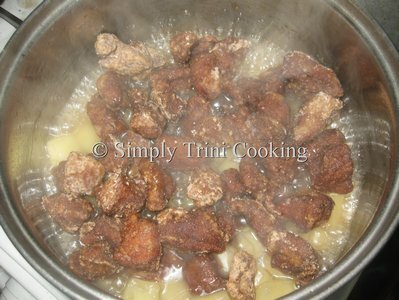 Then add the pork and mix well. Remove from heat. Garnish with chopped chive. Serve hot. So how did it taste? I’m sure you liked it. Or in my case I nearly didn’t get any lol!! 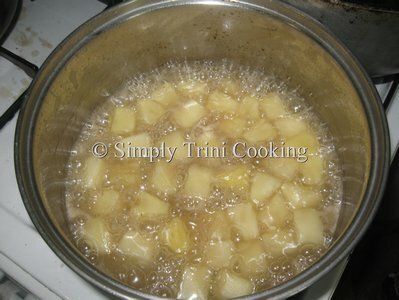 Anyhow, more scrumptious trini recipes to come. 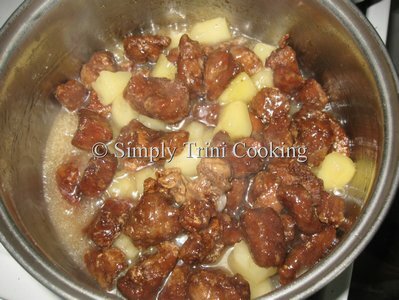 Don’t forget to leave your comments below in the comment box about sweet and sour pork. 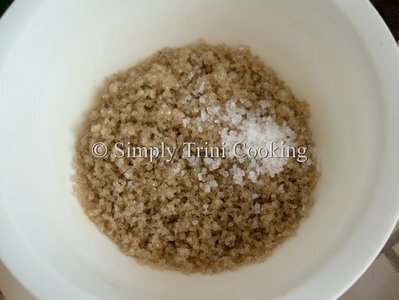 Can I use flour instead of corn starch for the dredging? Thanks. I’ll try it and see. 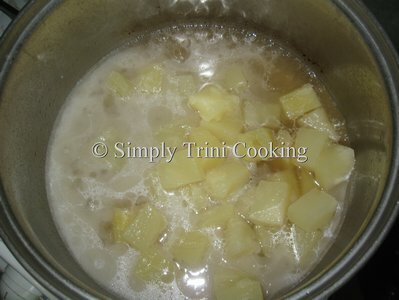 I’ve already tried it with the starch – with arrowroot flour actually and soy chunks instead of pork. It was great. I’d like to try it again but am out of arrowroot. 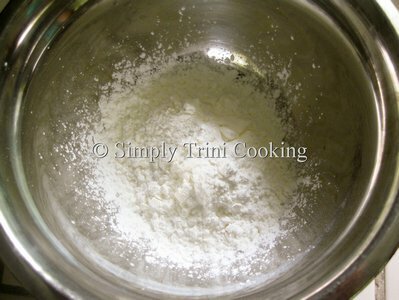 Flour is something I never seem to run out of.